Battlelog – a free social platform for fans of Battlefield, which allows you to meet people, compete with them and plan their battles to the browser. Battlefield 4 Battlelog knows all of the above and a little more. 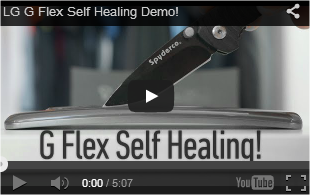 Today, developers have shown a trailer that describes the main features of this platform. The main idea of ​​the new Battlelog – adding to the game of mobile devices. Now you can log on from your tablet or mobile phone, as long as, for example, waiting for a bus after work and you will have some free time away from the computer. Here you can select the appropriate server, check your arsenal of weapons and stats, and then when you finally get to the computer, then everything will be ready to start the game. Also from the plate, you can make an extra monitor for Battlefield 4. The best way of using it – is to create a mini-map of your mobile device. In the upcoming game The Witcher 3 magic will be one of the most important elements of gameplay. Using various “signs”, the protagonist will be able to gain an advantage in battle with opponents, just as it was in previous games in the series. However, in The Witcher 3, these magical abilities will be a little different. In the development of your character, you’ll discover its magical spells. The developers plan to introduce about 10 “signs”, with each character magical ability will be different from previous ones. You can simultaneously use two or more “character”, and to use certain abilities for different combat tactics. For example, one spell can stun the enemy, and the other immediately to finish it. The game will be two types of combat systems: a powerful one, and the second fastest. Using magic, swords and planning his every attack, you can easily wipe out an entire army. However, not only the attack will be important in the game. The developers have also focused on the system of protection, so make sure that your character is not “discovered” during the fight. For a long time we have not heard anything new from the developers of the game series Killzone, of Guerrilla Cambridge, their new project – Killzone Mercenary. And yesterday, finally, the network has a gameplay trailer Killzone Mercenary and published many game screenshots. Although the release date of Killzone Mercenary is scheduled for early autumn, but the developers of the project is ready to pre-release version of this amazing shooter, and they were quick to demonstrate in gameplay video. Online you can find several of these clips have been laid out by different users, but we decided to show you the full version (27 minutes duration) of the gameplay. Although this trailer Killzone Mercenary covers only one game level, but this, in our opinion, sufficient to assess the quality of the future first-person shooter and decide whether to purchase it. In the meantime, remember that the European release date of Killzone Mercenary – the fourth of September. And while it is scheduled only for PS Vita. The well-known American publisher – BradyGames – writes guide to one of the most anticipated games of the year. Moreover, once released two editions manual GTA 5, and order one of them can be right now on the official website of the publisher. Yesterday the company announced the creation of BradyGames guides for the console versions of GTA 5. These guidelines will include a detailed description of the game, clear the passage for each mission, the answers to the mini-games, and tips on the arms trade in the game (by the way, about the possibility of GTA 5 not previously reported). 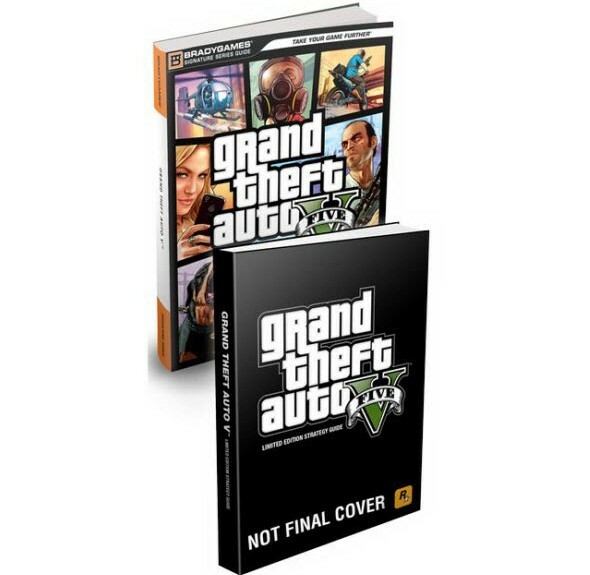 Released two versions of the manual on GTA 5 – conventional and limited edition. The first version will consist of a full play through, interesting information about the characters and their abilities, maps missions with marked key objects, describing all the possible lessons and detailed maps of the open world GTA 5. This guide will set you back £ 14.99. The limited edition of the manual will include all of the above plus a hardcover for a directory lithograph art GTA 5, and several game illustrations. The price of this kit will be £ 19.99.